Enjoy a trip through history in Ayutthaya, a former capital of the Kingdom of Siam and a UNESCO World Heritage Site, and Ang Thong, a small old city with Thailand's biggest Buddha. 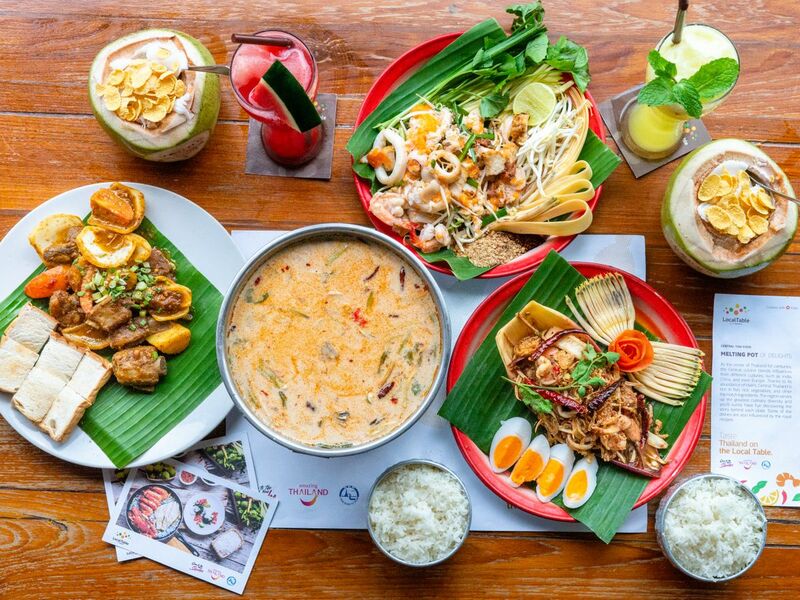 We'll have classic Thai food (with tasty twists) at one of the best restaurants in Ang Thong. Visit Wat Phanan Choeng, the oldest temple in Ayutthaya (since 1324). See the gigantic seated Buddha image, which is 19 meters tall. Go to Wat Mahathat, one of the biggest highlights of Ayutthaya Historical Park. The big Buddha head in the bodhi tree is a very unique sight. Visit Wat Chaiwatthanaram for its impressive architecture and art, from countless Buddha statues to prang and chedis (Khmer-style tower and pagodas). Stop at a famous local restaurant and enjoy a variety of classic Thai dishes and desserts. We'll go to Wat Muang, a temple with Thailand's largest Buddha statue and the world's 7th largest. Close to the ordination hall is also the largest lotus and there's the Crystal Hall Temple with silver monk images. Move on to the ancient temple Wat Khun Inthapramun. You will see Thailand's biggest reclining Buddha, which is about 50 meters long. Drive back to your hotel in Bangkok. Ayutthaya and Ang Thong province a number of cultural and historical attractions, as well as a large number of Buddhist temples. Wearing Polite cloths for entrance to temples . Great day and the best sites! Wonderful experience! Jareya was very knowledgeable, sweet, and patient! Her car was comfortable and made it very easy to get around the area. We were so grateful for the AC! Highly recommend!